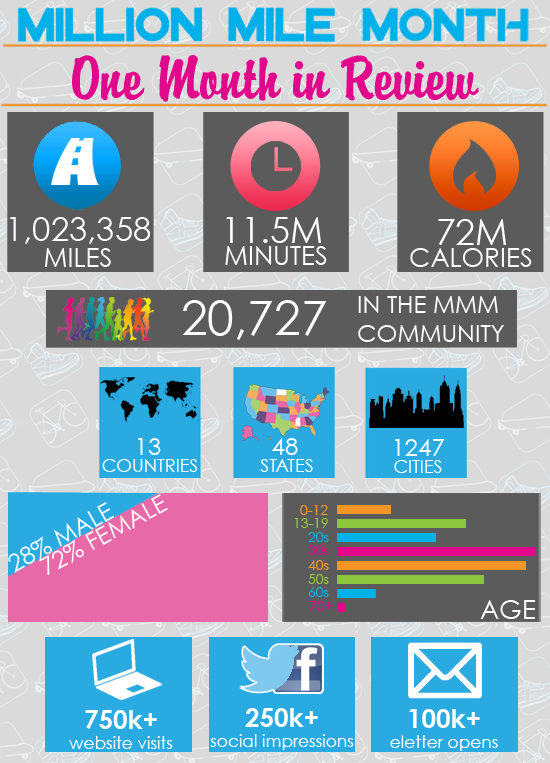 We had the most amazing participants and sponsors for Million Mile Month 2015. It made for a fantastic event! Take a look at what we accomplished and learn a bit more about our participants.